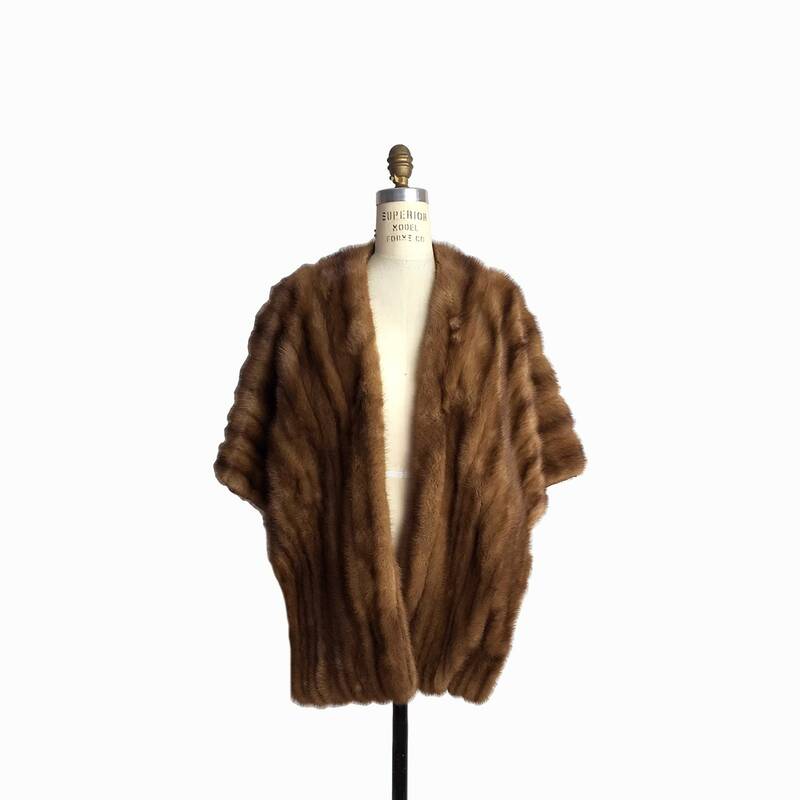 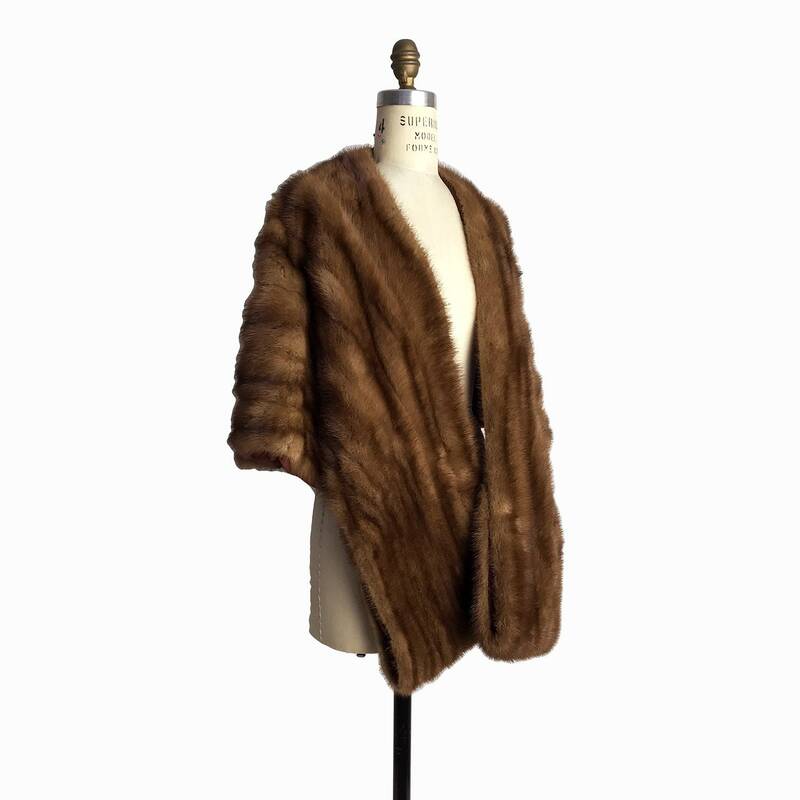 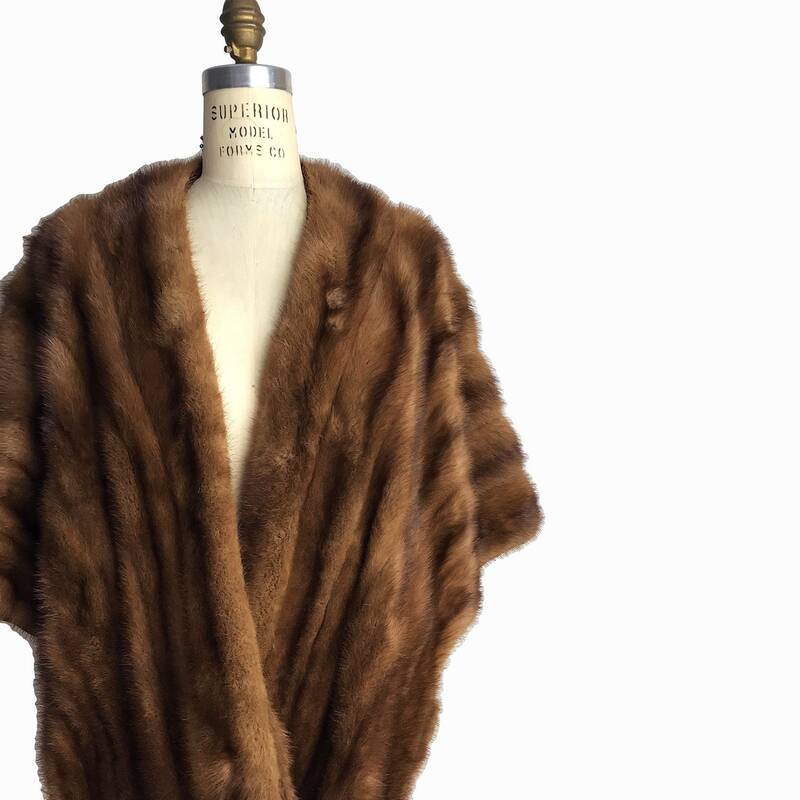 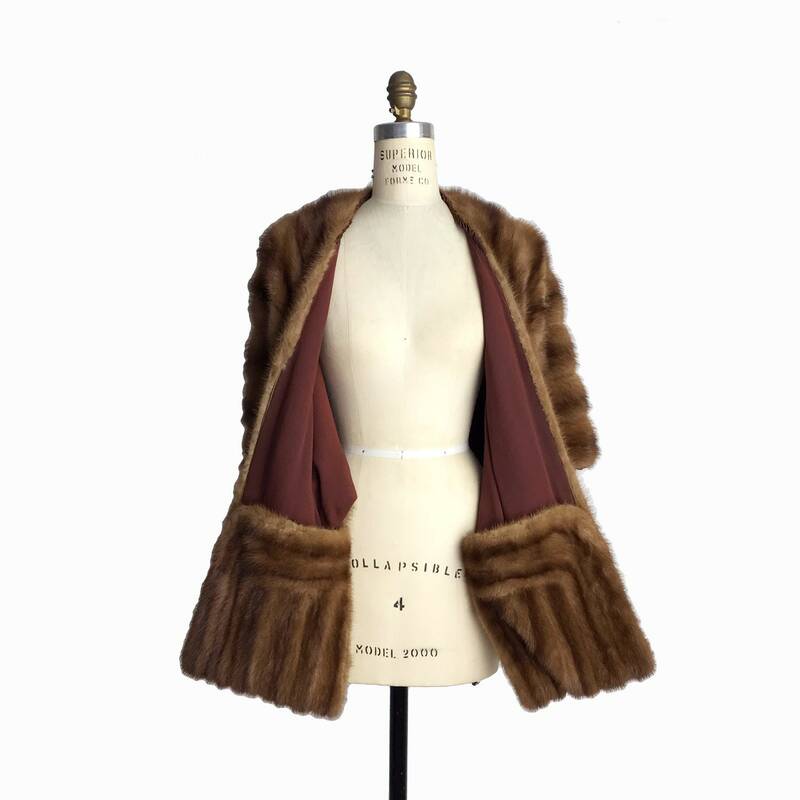 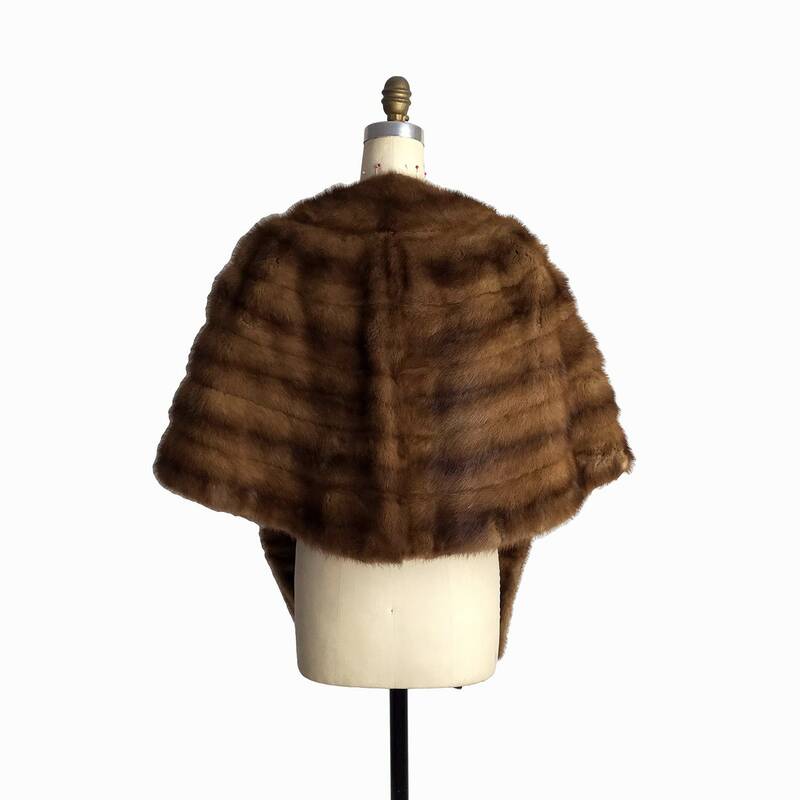 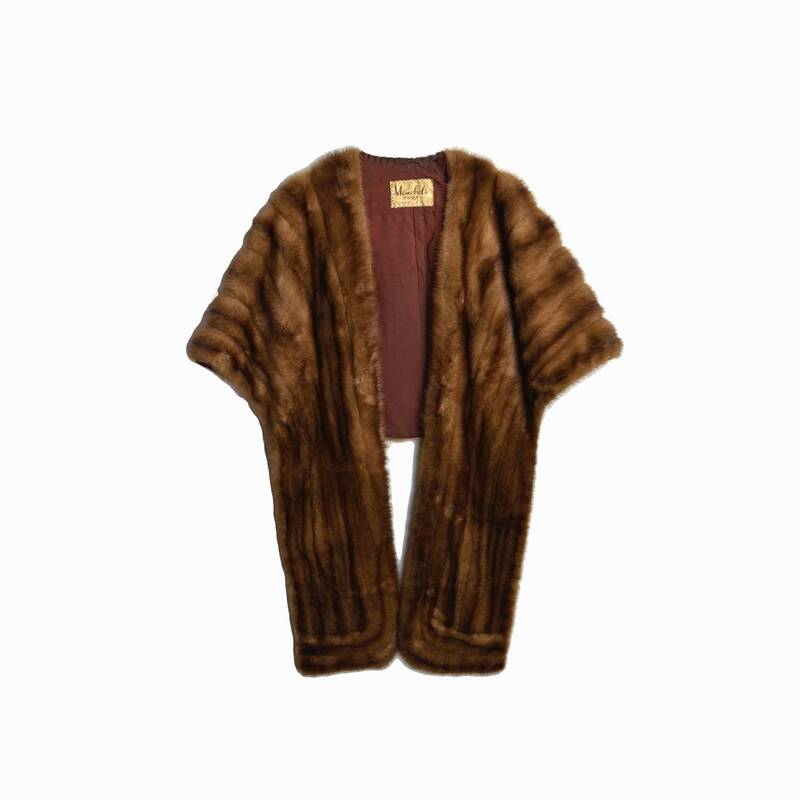 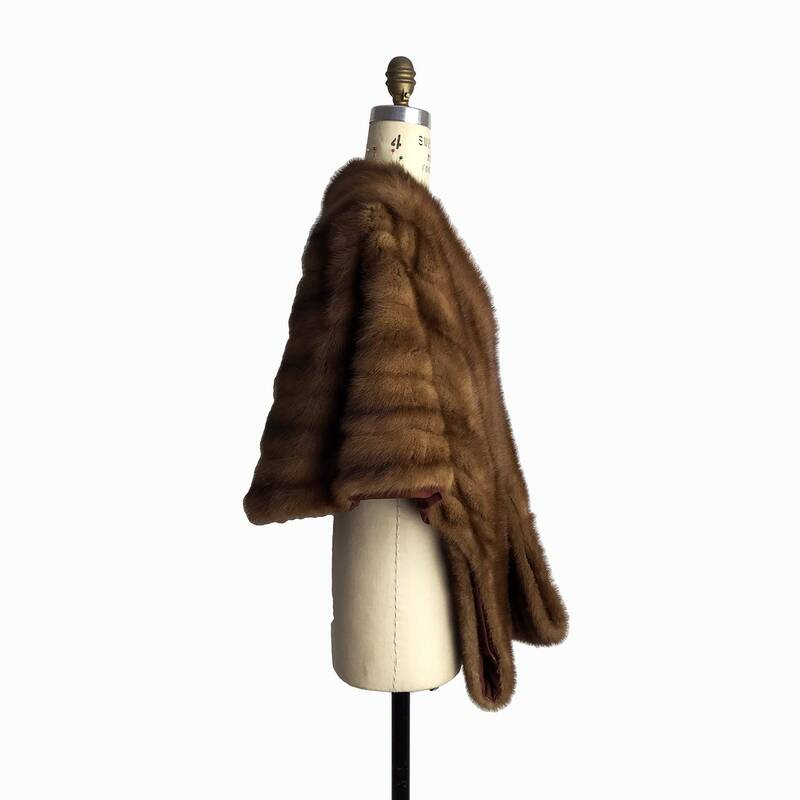 shoulder to shoulder: approximately 20"
width at bottom of cape: approximately 31"
CONDITION / good used condition: moderately worn with very light wear to the fur. 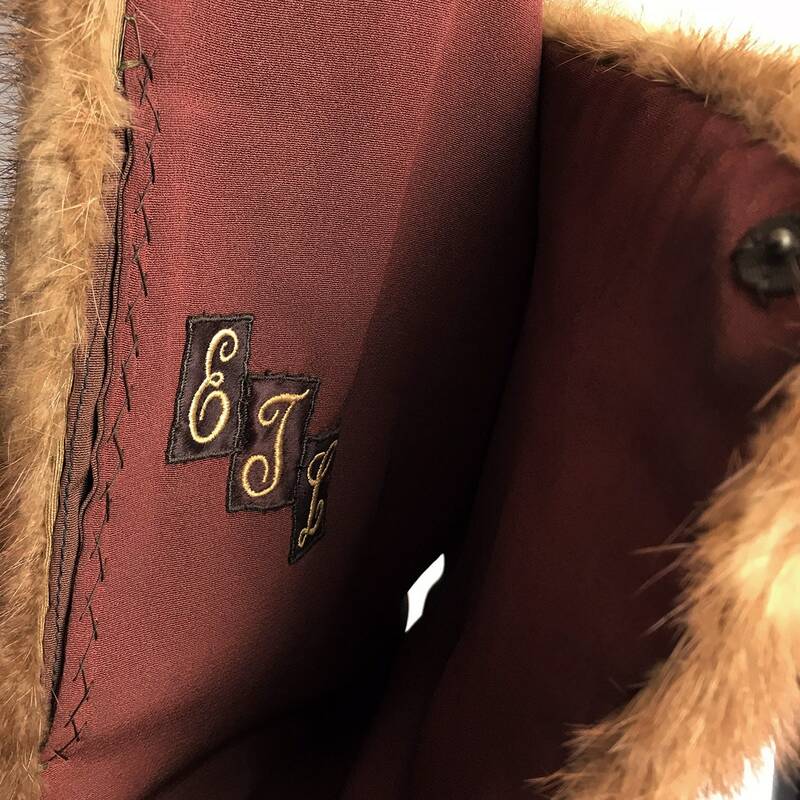 the interior lining has some discoloration at the back neckline as well as some general discoloration and some small rips and tears at the edges. 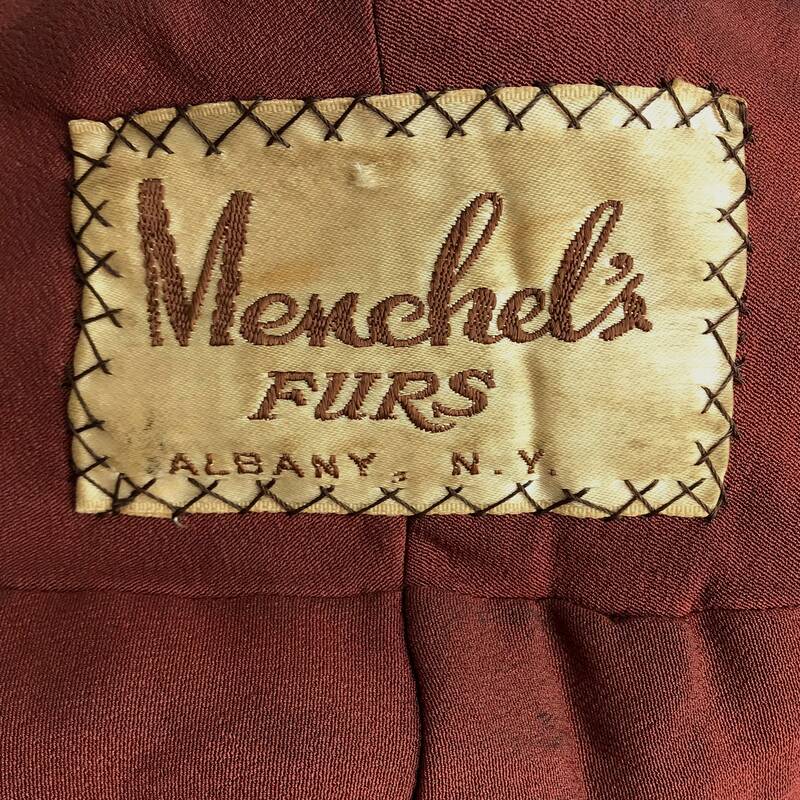 no other noted flaws.